When sending anything electronically there are “things” that can go wrong, like the email you send that never arrives. It’s a bit different with an international money transfer however, because most of the top firms are regulated, and have safeguards for such circumstances. The best money transfer services are the “best” in the industry because of things such as security, reliability, customer service and regulation, in addition to having the best rates or zero commissions. But having said that, there will be that 1 in a million chance when some money sent doesn’t arrive, or gets delayed and causes the customer a period of stress. What Regulation Is There For International Money Transfer Services? If something does happen to your money when you send it overseas, then these are some things you can do. You can’t use the same process as you would with a bank to retrieve the money. In the UK all the top firms are regulated with FCA (Financial Conduct Authority). If you are not sure if the firm you’re using is regulated, you can call the Financial Conduct Authority’s consumer helpline on 0845 606 1234. Again, using a trusted and regulated service is about as safe as you’re going to get, but it’s normal to be hesitant. After all, you could be sending tens or hundreds of thousands for a property transaction. For this reason many people opt to use their bank, and while people see this as safe, they are also going to be at the mercy of the notorious bank exchange rates. Regulated services have to keep their client money in what are known as segregated accounts. This means the money you deposit is not available as “business” revenue, and is kept in sort of a holding account, only for the purpose of deposit, transfer and withdrawing by the customer. This means that if the company goes unexpectedly bankrupt, the customer funds are separate. The best international money transfer services will also use a secure connection for their customer portal, if they have one, it means that you login online and no data is public and is securely transferred to their servers. You can tell if this is the case when you login, the web address should begin with https instead of http. 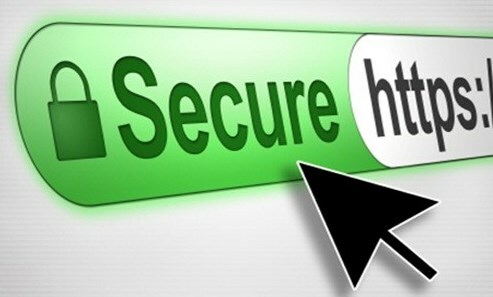 Often, in your web browser, you will see a green secure shield or lock icon appear to the left of the web address. This means their connection is secure.